As humans have begun to explore the mysteries of outer space, both by sending unmanned probes and physically traveling beyond the Earth’s atmosphere, a vast number of amazing pictures have been collected. Often photographs of outer space are recorded for the purposes of science, but are also often breathtakingly beautiful images revealing the wonders of the universe. This post brings together 20 of the most astounding pictures of space ever created. This beautiful image was originally dubbed ‘The Blue Marble’ by the astronauts aboard the Apollo 17 spacecraft who took it, since at the time, with the sun behind them and the whole of the visible planet illuminated, the Earth took on the appearance of a giant glass marble. The photograph captures Africa and Antarctica in the southern hemisphere, captured by a crewmember on December 7th, 1972. Ever since human beings turned their attention to the heavens they have been aware of the Orion Nebula, a celestial feature situated at the south of Orion’s Belt that is visible to the naked eye. The ancient Mayan culture of Central America had a folk tale that explained this smudgy star-filled part of the night sky. The Hubble Space Telescope captured this wonderful image of the nebula in 2006, offering humanity the most detailed glimpse of Orion yet. 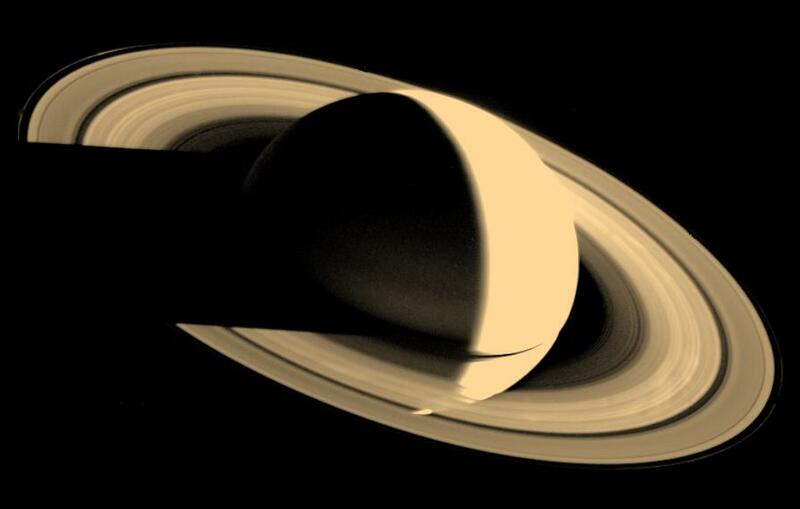 On September 15th 2006, NASA’s Cassini orbiter drifted into the shadow of Saturn, and spent 12 hours photographing the planet and its rings shielded from the sun. In total 165 photographs were combined into a mosaic to create this amazing image of Saturn eclipsing our solar system’s central star. British astronomer William Herschel discovered this nebula in 1787, and it was subsequently named the Eskimo Nebula since its unusual double-shell formation resembles a person’s face inside the padded hood of a winter jacket. The star at the centre is similar to our own Sun, and the strange orange streaks seen in the outer part of the formation stretch for a light-year in all directions. This image, a collaged mosaic of 102 photographs taken by the Viking 1 Orbiter in 1980, shows Mars and the vast Valles Marineris that cut a deep gash through the planet’s equator. The system of canyons is 4,000 kilometres in length, 200 kilometres wide, 8 kilometres deep at its lowest points, and as such is the biggest known canyon in the solar system. This fascinating image shows the twinkling lights of Europe, North Africa, the Middle East and Western Asia. The density of light reflects the level of urbanisation, with the seaboards and industrial cities of Western Europe particularly brightly illuminated, while large tracts of Africa and the barren lands of northern Russia are shrouded in darkness. This fabulous image from NASA shows the stars that swirl at the centre of our home galaxy, the Milky Way. Clouds of dust normally block the view from Earth to the galaxy’s centre, but by using an infra red camera the photographer was able to reveal parts of the spectrum that are usually invisible. Galaxy M104 has the rather more attractive alternate name of the Sombrero Galaxy, due to its distinctive shape reminiscent of Mexican headwear. The galaxy’s bright nucleus, bulge of central light and dark ring of dust lend it this unusual shape. In the 1990s scientists discovered that a super massive black hole is located at the centre of this formation. The Helix Nebula is a large planetary formation in the constellation of Aquarius, and at about 700light-years away is one of the closest nebulae to the Earth. In the recent years the nebula has been given the nickname of ‘The Eye of God’, because of it’s characteristic optical shape. This is the glowing spherical shell and central star of the Ring Nebula, a prominent deep space object in the night sky, situated in the northern constellation of Lyra, 2,300 light-years from the Earth. These ethereal clouds of matter are found in the Carina Nebula, a bright formation that envelops several clusters of stars. Although it is one of the largest and brightest nebulae in the night sky, it is far less well known and observed than more famous formations such as Orion due to its position deep in the Southern Hemisphere. The Carina Nebula is located in part of our own galaxy, approximately 6,500 to 10,000 light-years from the Earth. 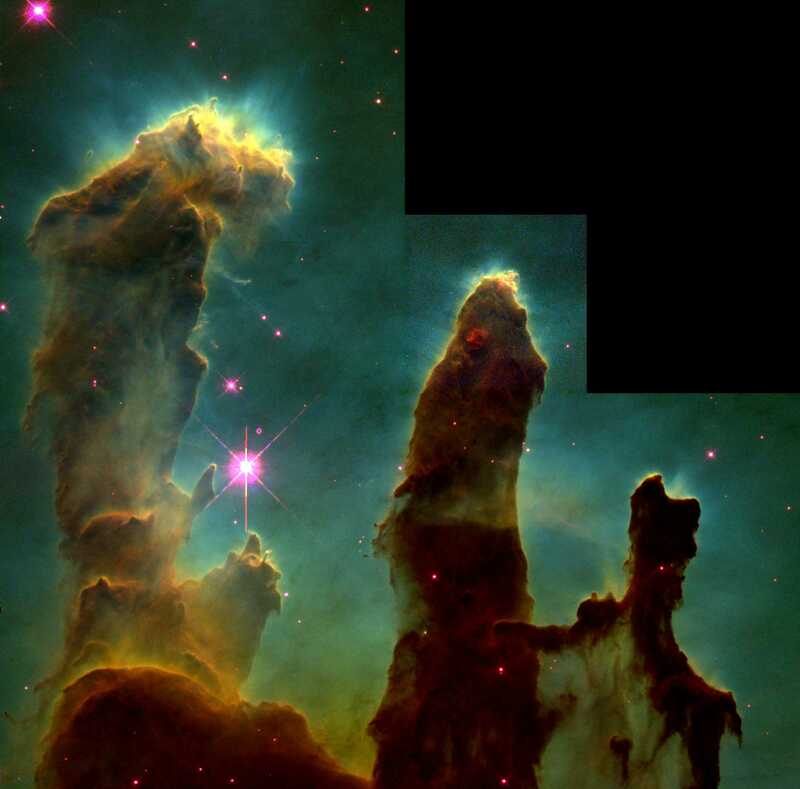 This image, entitled ‘The Pillars of Creation’ is one of the most famous photographs taken by the Hubble Telescope, and shows vast interstellar clouds. The picture captures a portion of the Eagle Nebula, and what we are seeing is actually the creation of new stars in this ‘young’ nebula. This false colour image shows the remnant of Kelper’s Supernova, the structure remaining after the cataclysmic explosion of a star. 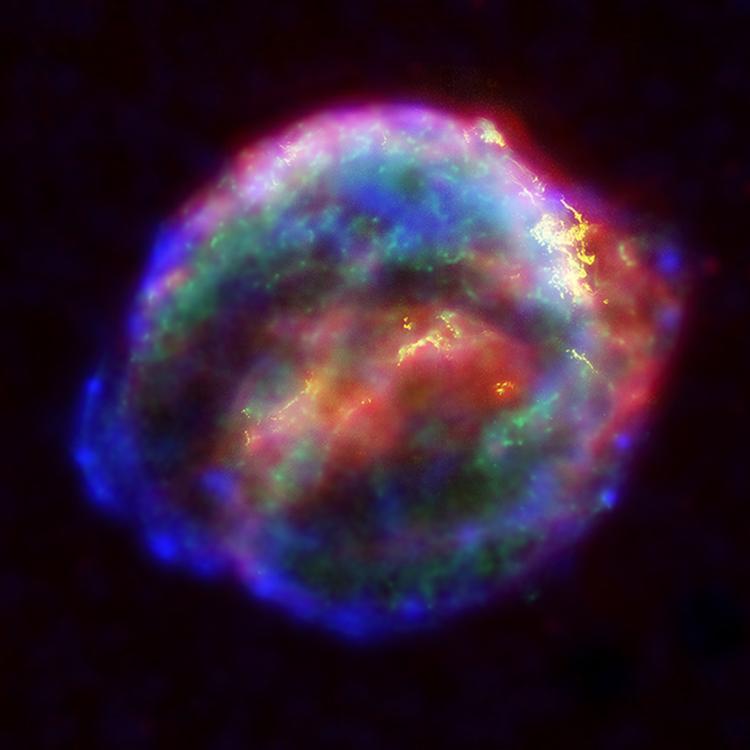 The supernova is named after Johannes Kepler who observed the star’s explosion in October 1604, which at the time was brighter than any other star or planet in the sky. This mind-blowing photograph, taken from the Hubble Telescope, shows the death throes of a star, exploding with two gargantuan lobes of hot gas and debris. The dying star would have once have been fives times the size of our Sun, and the resulting explosion has created one of the hottest places in the galaxy at just under 20,000 degrees Celsius. Before Voyager 1 left the inner solar system and photographed the Pale Blue Dot, the spacecraft’s primary mission was to photograph Saturn, Jupiter and the two planets’ moons. This image was taken on February 25th, 1979, and shows the swirling drama of an anticyclonic storm on Jupiter’s southern hemisphere, the planet’s famous Great Red Spot. Voyager 1 took this image of Saturn at a distance of 5.3 million kilometres from the planet. Of all the amazing sights in our solar system, the rings of Saturn are one of the most remarkable. Composed of from nothing more than chunks of ice and particles of dust, the rings extend from 7,000 kilometres to 80,000 kilometres from the planet’s equator. While they have a massive circumference of 3,034,689 kilometres, the rings are estimated to be merely 10 metres in thickness. The aurora borealis is the polar lights that beautifully illuminate the skies in the Earth’s northern regions. Their southern counterparts are called the aurora australis. These lightshows are caused by the interaction of atmospheric molecules and solar wind at the planet’s magnetic poles. In the autumn of 1998, scientists trained the Hubble Space Telescope on the furthest reaches of space in the southern hemisphere. Hundreds of photographs were taken and composed into this final image, an astonishing glimpse into the universe’s past. Since light takes many, many years to reach us from distant stars, the galaxies captured in the picture are at the very early stages of the universe’s evolution. This amazing false-colour, all-sky view shows the Milky Way from the Earth’s side-on perspective. 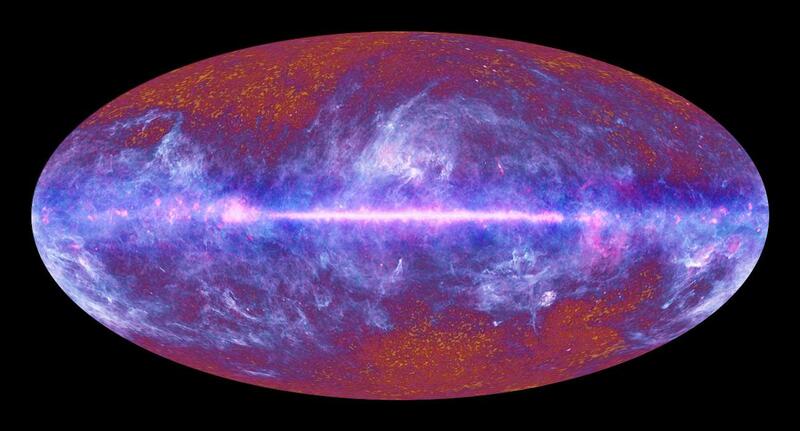 The picture was constructed with data recorded by the Planck spacecraft over the period of one year, and represents the microwave activity of the galaxy. The bright central strip contains formations that are hundreds or thousands of light-years distant from the Earth. The darker patches are an awesome 13.7 billion light-years away, and contain the ‘echo’ of the Big Bang. This picture and all of the images in this list represent some of humanity’s greatest achievements, and have helped develop our understanding of the universe, and or place within it. James is a blogger and designer who works at an online print cartridge store where he reviews the latest hardware releases and posts on their design blog about advertising, art and tech. 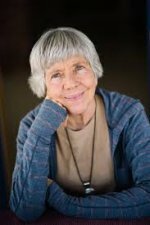 Patience is not simply the ability to wait -- it's how we behave while we're waiting.